November 2015 -- PENSACOLA, FLA - Fixed or operable acrylic block windows. True glass block windows. Decorative glass fixed or operable windows. Whatever type of privacy window a builder desires, Carter Lumber can get it for them. "We will sell whatever the builder requests," says Dan Daum, window program director for Carter Lumber out of Kent, Ohio. "All 140 of our locations can order Hy-Lite privacy windows for our customers, so builders can easily order them. Anytime we can upsell to Hy-Lite it turns into a win-win situation." According to Daum and other dealers, privacy windows fill a niche in the marketplace --- and they're growing in popularity. "We're working right now to introduce the new Home Designer Collection into our design centers," says Daum. "I believe the unique designs in this selection of privacy windows will find wide appeal for both builders and homeowners." At Barefoot & Company, Inc. in Charlotte, N.C., privacy windows are just one of the many turnkey products offered. Along with shower doors, mirrors and specialty glass, closet systems, windows and screens, exterior doors, bath accessories, door hardware and locks, and blinds, shades and shutters, privacy windows allows the distributor to stand out in the marketplace. "Our expertise is quite widespread," says Bill Green with Barefoot & Company. "When it comes to specialty windows, we'll sell about 200 Hy-Lite units this year because these privacy windows are great alternatives to a boring window. "While we sell more acrylic block windows than decorative glass windows right now, I can see this potentially changing in 2016. I'm predicting great success for the Home Designer Collection. These are beautiful privacy windows that have widespread appeal. We've already launched programs in several area builder's design studios and I believe these windows will see fast success with homeowners." In Alabama, Wilson Lumber Company out of Huntsville has found their "sweet spot" in selling fixed acrylic block and decorative glass privacy windows. This year alone they plan to sell more than 300 units. "Aesthetics, privacy and pricing are the three big things that make these windows attractive to our customers," says Carl Judge with Wilson Lumber. "We stock 14 different Hy-Lite windows that are popular with people in our area. 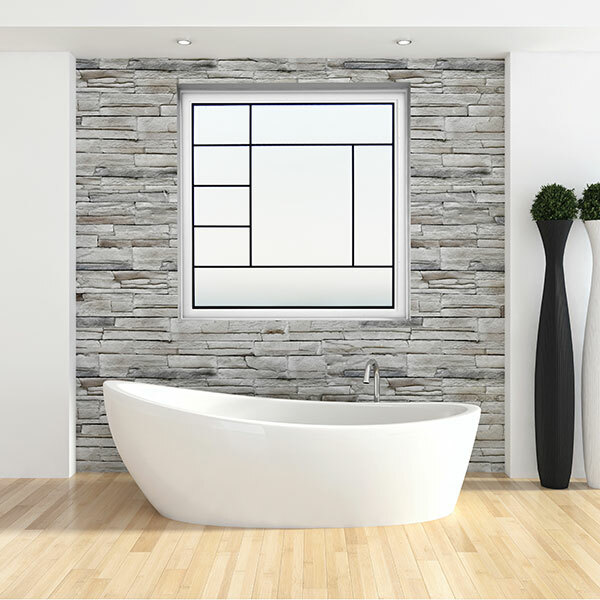 Our two biggest sellers are the 4/0 x 4/0 block window in a tan frame and the 42" x 42" Charming Bloom design." A secret to the success of sales at Wilson Lumber is getting the product seen. "We add all new items to our showroom as soon as they arrive," says Judge. "It's a huge advantage to having them in the showroom for our customers to 'touch and feel' as opposed to merely looking at a picture in a brochure."